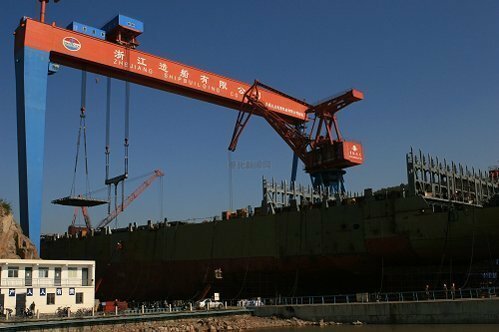 Zhejiang Shipbuilding, a subsidiary yard of Sinopacific Shipbuilding, has been declared bankruptcy by a local court. Zhejiang Shipbuilding is currently looking for new investors to restructure the yard. Previously Zhejiang Shipbuilding was a major state-run shipyard, and was acquired and restructured by Sinopacific Shipbuilding in 2003. Yangzhou Dayang Shipbuilding, another subsidiary yard of Sinopacific Shipbuilding, is also working on a restructuring plan with machinery manufacturer SUMEC Group and box manufacturer CIMC. Sinopacific Shipbuilding is currently in a financial crisis, and is getting rid of its entire Shanghai operations in order to cut costs.